A new study suggests that Mr Men books like Mr Greedy are harder to read than some Roald Dahl classics such as Fantastic Mr Fox. The study has been done by education specialists Renaissance UK. They scanned the pages of over 33,000 children's books and designed a system for rating books based on their difficulty. Renaissance UK rate books from 0 being the easiest and 13.5 being the hardest. The study is to help teachers choose books for children, based on their difficulty, and comes ahead of World Book Day on 7 March. Book ratings are based on the sentence length, the word length and how difficult the words are. The research suggests that Mr Men classics like Mr Greedy, Mr Tickle and Mr Happy could be harder to read than some Roald Dahl books like Fantastic Mr Fox. 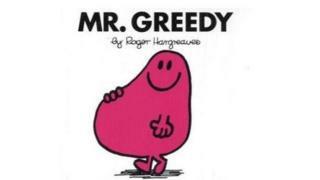 Mr Greedy was given a rating of 4.4, which is higher than Roald Dahl's The Magic Finger - rated at 3.1. Fantastic Mr Fox was rated at 4.1. Renaissance UK say that 'Mr Men books look really easy but they are a really high difficulty level'. However, it is argued that even though the words and sentences in Mr Men books might be harder, it can be easier to understand the story. The National Association for the Teaching of English argue that even though some Roald Dahl books might have shorter, and less difficult words and sentences, the overall story might be more complicated. 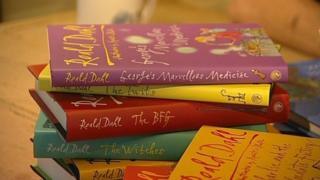 Matilda at 30: What would the Roald Dahl character be like?